“Innovation” is the word of the moment, but in a rapidly evolving landscape of technology and industry, what does it really mean? And what could it mean for the future of education? New Jersey has always been a home to innovation, particularly in information and communications technology. We can claim the original Bell Labs and the laboratory facility where Thomas Edison developed many of his famous inventions. Today, we have Verizon’s operations center in Basking Ridge, AT&T’s Global Network Operations Center in Bedminster and Labs Research Institute in Middletown, UPS Technology Development Center in Parsippany, and many more. Through them, our state is contributing to work in data mining, cloud computing, IT infrastructure, video processing and other important technological developments. Despite these exciting technological trends, such rapid innovation is often a source of anxiety for students and employees. The news is full of stories of automation, skills gaps, and job losses. 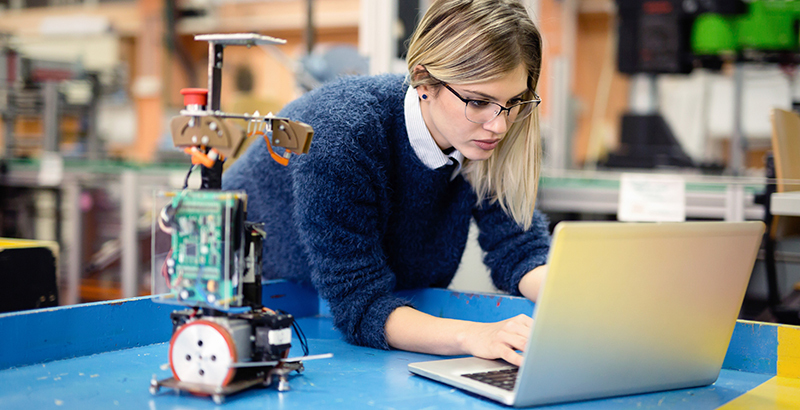 JerseyCAN’s report Preparing the Children of Today for the Jobs of Tomorrow offers an alarming statistic: 65 percent of the jobs of the future do not yet exist. How do we know exactly what skills our students need when we do not even yet know what jobs they will hold? Business leaders, educators, and policymakers met in Princeton last month to start this conversation and consider the possibilities of the education of the future when the Age of Agility tour stopped in New Jersey. The summit is a project of America Succeeds, designed to generate smart, actionable ideas for building a stronger-than-ever bridge between the classroom and the workforce. 1. The future is now. Do not underestimate the importance of our current moment in time. We are in the midst of a fourth Industrial Revolution, and this will require agility in all sectors. 2. We still need baseline competencies. If we expect our students to engage in complex problem-solving, critical thinking, and challenging ethical dilemmas, we must ensure that quality education begins early and provides the core skills to support higher-order thinking skills. 3. Learning never ends. Education can and must be a lifelong process. Innovation and change in the workforce will continue long after students are through the traditional schooling years. We need to ask how we can provide educational and training opportunities for adults. How can we maintain curiosity and passion to keep learning and expanding skills? 4. All students need access. Not all students have the same opportunities. In New Jersey, systemic achievement gaps persist. We must remain aware and conscious of inequities to ensure access to educational and workforce training opportunities. 5. Soft skills matter even more. Even for high-tech positions, employers will look for writing, communication, and teamwork skills. The education of the future must incorporate technology but not be purely based on technical skill. We must think about how hard skills can inform soft skills, and vice versa. 6. We need to work together. Collaboration will be essential going forward. The education of the future will need to be experience- and project-based. Businesses must know that they’re welcome in their local education communities so they can provide simulated work experiences, internships, apprenticeships, or credentials. Some great examples of collaboration include IBM’s P-Tech model, Siemens’ involvement with the NJ STEM Pathways Network, the Research & Development Council’s involvement in the Governor’s STEM Scholars program, and We Raise NJ’s coalition and advocacy work around career exploration. 7. Tomorrow is exciting. Despite widespread anxiety, there are benefits to the innovation age. We experience them every day. The first step to getting students excited about new technologies is to get excited about technology in your own day-to-day work. The rate of change in technology is overwhelming and impressive. It is impossible to predict what amazing invention may be just around the corner. So to prepare our students, we must challenge ourselves to ask what our students will really need to know to solve the problems of tomorrow, and we must open our minds to the possibility that our education system may look and feel different. Patricia Morgan is executive director of JerseyCAN: The New Jersey Campaign for Achievement Now, an education advocacy nonprofit that co-hosted Age of Agility with America Succeeds.